This disease of the hip joints can cause pain and discomfort for your dog, but with care and treatment a dog with hip dysplasia can have an active, full life. Hip dysplasia is a disease that causes malformation of the ball and socket joint of the hips. In a dog with hip dysplasia, the ball isn't properly seated in the socket. This causes the ball part of the joint to grind in the socket, instead of moving smoothly. Dogs with hip dysplasia tend to become less active as the disease progresses, due to pain and difficulty of movement, and a decreased range of motion. They might have difficulty getting up from a sitting or lying position, and they're often reluctant to run or climb stairs. Many dogs with dysplasia have an unusual gait. For example, they may bring their hind legs forward at the same time when running or have an unsteady gait. Over time, it's common for dogs with hip dysplasia to develop arthritis in the affected joints. While hip dysplasia is often inherited, it can occur spontaneously, especially in dogs that are overweight or obese. What Breeds are at Risk for Hip Dysplasia? 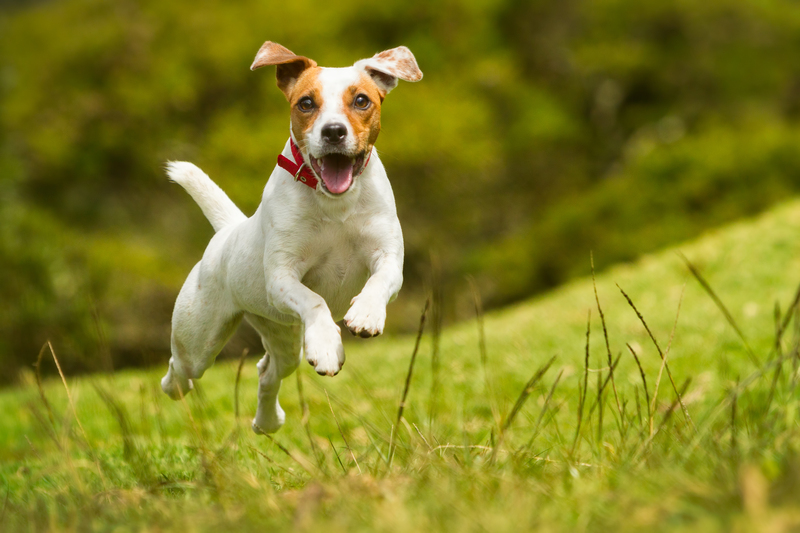 While there are no specific methods for curing hip dysplasia in dogs that develop the disease, it's possible to reduce the severity of symptoms and slow disease progression. What is My Dog's Prognosis? Most dogs with hip dysplasia can lead full and comfortable lives, as long as they're diagnosed and treated early. However, the increased risk of arthritis makes it a common problem for older dogs with dysplasia, in addition to any problems caused by ongoing degeneration of hip joints. Pet health insurance policies are firm when it comes to congenital conditions. If your dog has already been diagnosed with dysplasia when you sign them up for insurance, it will count as a pre-existing condition, and the policy will not cover treatment. Note also that some policies may exclude certain breeds from coverage, or may exclude dysplasia as a covered condition. If you suspect your dog is showing signs of dysplasia, don't hesitate to make an appointment. The sooner your dog is diagnosed and treated, the better their prognosis, so see us at Bixby Animal Center without delay.